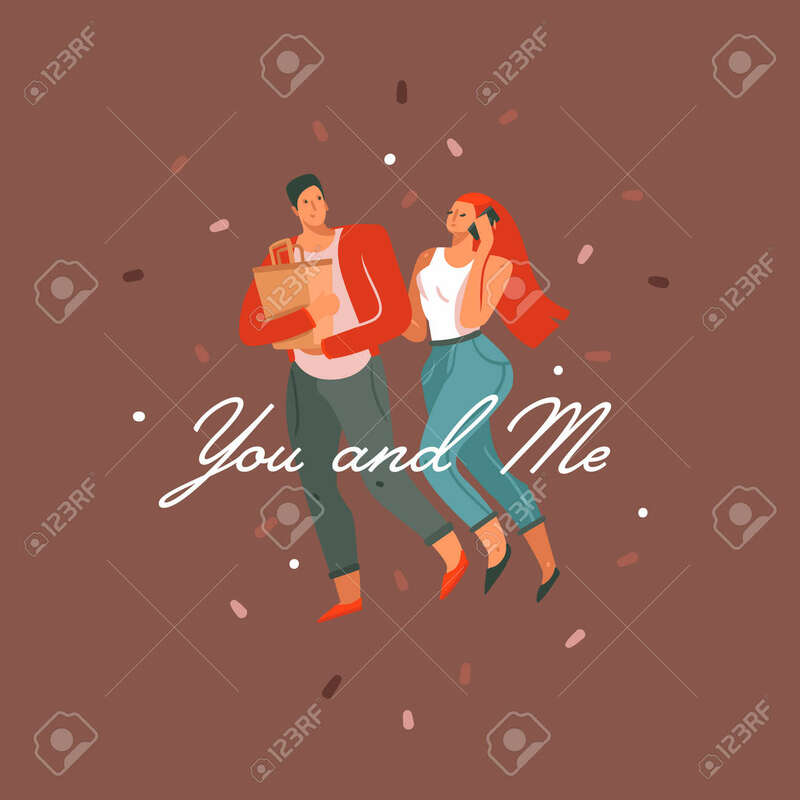 Hand Drawn Vector Abstract Cartoon Modern Graphic Happy Valentines Day Concept Illustrations Card With Couples People Together And You And Me Text Isolated On Color Background. Ilustraciones Vectoriales, Clip Art Vectorizado Libre De Derechos. Image 114772738. Foto de archivo - Hand drawn vector abstract cartoon modern graphic Happy Valentines day concept illustrations card with couples people together and You and Me text isolated on color background.